As noted in other sections of this site I am a large proponent of Talk Therapy as opposed to Drug Therapy. 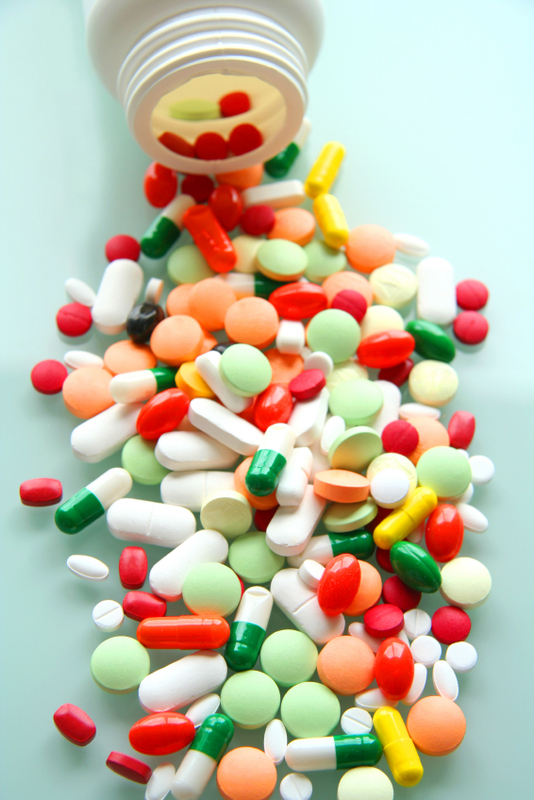 Drug Therapy has its uses but is over used and helps develop a dependant situation. Once the drugs are removed the chances of relapsing are far greater than relapsing after extended sessions of talk therapy. This has been documented by the VA and other sources as well. Insurance & Drug Companies push for Drug Therapy because it shows faster results and allows the doctors to deal with many more patients. During an hour of talk therapy a doctor could have written any number of prescriptions. If a hospital or doctor orders talk therapy, at all, it is for short durations of less than 12 sessions. By the time the talk therapy sessions run out they are just beginning to build a rapport between doctor and patient. All of a sudden the patient is left on their own which could lead to more drugs and self medication. We Vets are very fortunate that the VA is developing more programs that revolve around talk therapy like the PTSD & Substance Abuse program that is now available at a number of VA’s across the country. The Vet Centers have good meetings, as well, where Vets can come together to help each other through talk sessions. In the beginning of therapy it may be useful to use a combination of both but over the long run building good habits like grounding techniques and learning how to deal with emotions on your own will be carried with you for the rest of your life. 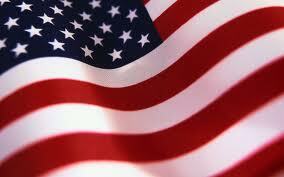 I have lived with PTSD for over 40 years and owe much to the VA’s newer programs. I now live a life free of drug and substance abuse. Is it worth the effort? Just ask my family and friends. I have so much more fun and I don’t have to apologize each and every morning to someone. I feel this topic is so important that I have built this section for it and have added a Drug & Talk Therapy Message Board in that area of this site. Big Money in Drug Therapy!!! Richard Perry/The New York Times “I had to train myself not to get too interested in their problems and not to get sidetracked trying to be a semi-therapist,” said Dr. Donald Levin, a psychiatrist whose practice no longer includes talk therapy. 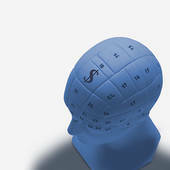 Psychiatrists are talking less and prescribing more. Many of the nation’s 48,000 psychiatrists no longer provide talk therapy, the form of psychiatry popularized by Freud that has been a mainstay of psychiatry for decades, writes Gardiner Harris in Sunday’s New York Times. Instead, they typically prescribe medication, usually after a brief consultation with each patient. The switch from talk therapy to medications has swept psychiatric practices and hospitals, leaving many older psychiatrists feeling unhappy and inadequate. A 2005 government survey found that just 11 percent of psychiatrists provided talk therapy to all patients, a share that had been falling for years and has most likely fallen more since. Psychiatric hospitals that once offered patients months of talk therapy now discharge them within days with only pills. WASHINGTON (AP) - Andrew White returned from a nine-month tour in Iraq beset with signs of post-traumatic stress disorder: insomnia, nightmares, constant restlessness. Doctors tried to ease his symptoms using three psychiatric drugs, including a potent anti-psychotic called Seroquel. Thousands of soldiers suffering from PTSD have received the same medication over the last nine years, helping to make Seroquel one of the Veteran Affairs Department’s top drug expenditures and the No. 5 best-selling drug in the nation. 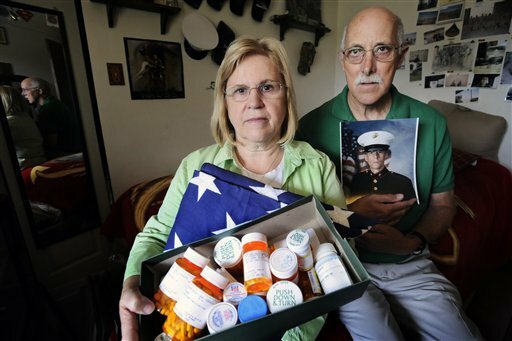 Several soldiers and veterans have died while taking the pills, raising concerns among some military families that the government is not being up front about the drug’s risks. They want Congress to investigate. In White’s case, the nightmares persisted. So doctors recommended progressively larger doses of Seroquel. At one point, the 23-year-old Marine corporal was prescribed more than 1,600 milligrams per day _ more than double the maximum dose recommended for schizophrenia patients. A short time later, White died in his sleep. “He was told if he had trouble sleeping he could take another (Seroquel) pill,” said his father, Stan White, a retired high school principal. An investigation by the Veterans Affairs Department concluded that White died from a rare drug interaction. He was also taking an antidepressant and an anti-anxiety pill, as well as a painkiller for which he did not have a prescription. Inspectors concluded he received the “standard of care” for his condition. It’s unclear how many soldiers have died while taking Seroquel, or if the drug definitely contributed to the deaths. White has confirmed at least a half-dozen deaths among soldiers on Seroquel, and he believes there may be many others. Spending for Seroquel by the government’s military medical systems has increased more than sevenfold since the start of the war in Afghanistan in 2001, according to documents obtained by The Associated Press under the Freedom of Information Act. That by far outpaces the growth in personnel who have gone through the system in that time. Seroquel is approved to treat schizophrenia, bipolar disorder and depression, but it has not been endorsed by the Food and Drug Administration as a treatment for insomnia. However, psychiatrists are permitted to prescribe approved drugs for other uses in a common practice known as “off-label” prescribing. But the drug’s potential side effects, including diabetes, weight gain and uncontrollable muscle spasms, have resulted in thousands of lawsuits. While on Seroquel, White gained 40 pounds and experienced slurred speech, disorientation and tremors _ all known side effects. Last year, researchers at Vanderbilt University published a study suggesting a new risk: sudden heart failure. The study in the January 2009 edition of the New England Journal of Medicine found that there were three cardiac deaths per year for every 1,000 patients taking anti-psychotic drugs like Seroquel. Seroquel’s unique sedative effect sets it apart from others in its class as the top choice for treating insomnia and anxiety. AstraZeneca PLC, maker of the drug, said it is reviewing the study. The FDA is conducting its own review, citing the limited scope of the Vanderbilt study. According to the Veterans Affairs Department, Seroquel is only prescribed as a third or fourth option for patients with difficult-to-treat insomnia stemming from PTSD. Two different kinds of treatment, drugs and CBT - cognitive behavioral therapy, combat depression but affect different parts of the brain. Talk therapy and drug therapy both combat major depression, but an imaging study shows that the two treatments have distinctly different effects on specific parts of the brain. Cognitive behavioral therapy (CBT) changes metabolic activity in the cortex, the thinking brain, to modulate mood states. It works from the top down, altering how people monitor and react to negative emotional stimuli in their environment. Drugs, by contrast, work from the bottom up, modulating neurotransmitters in the brainstem, which drive basic emotional behaviors. Cognitive behavioral therapy (CBT) is a psychotherapeutic approach: a talking therapy. CBT aims to solve problems concerning dysfunctional emotions, behaviors and cognitions through a goal-oriented, systematic procedure in the present. The title is used in diverse ways to designate behavior therapy, cognitive therapy, and to refer to therapy based upon a combination of basic behavioral and cognitive research. There is empirical evidence that CBT is effective for the treatment of a variety of problems, including mood, anxiety, personality, eating, substance abuse, and psychotic disorders. Treatment is often manualized, with specific technique-driven brief, direct, and time-limited treatments for specific psychological disorders. CBT is used in individual therapy as well as group settings, and the techniques are often adapted for self-help applications. Some clinicians and researchers are more cognitive oriented (e.g. cognitive restructuring), while others are more behaviorally oriented (in vivo exposure therapy). Other interventions combine both (e.g. imaginal exposure therapy). The choice facing psychiatrists and mental health professionals is on its way to creating a nation with an increase in mental health problems and leaving us little faith in our entire system of health care. 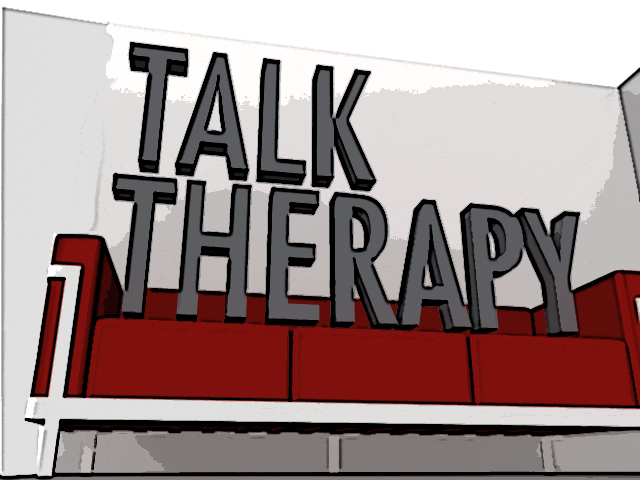 When I first began treating patients in the early 1980’s, I thought that talk therapy was the best way to go. Then, as I became a more seasoned therapist, it became clear that psychiatric medications were often very helpful (if not necessary) when given in small doses for those with difficulty reacting to current life stressors and particularly for those suffering from major depressive disorder, on-going panic attacks, bi-polar disorder, and the like. I began working with psychiatrists and psychopharmacologists whom I knew had reputations for never over-medicating, and have since then offered this combination of talk therapy along with medication, when medication is indicated. Fortunately, I am not alone in the psychiatric and therapeutic community. Most of us agree that the combination of both therapy and medication is the preferred path to well-being. Drug therapy alone – though a quick, expedient fix – is never, in my opinion, the best treatment. I am particularly disturbed by the fact that family physicians have at their disposal samples of heavily advertised anti-depressants, which they hand out too easily and too often. Drugs have different properties and different side effects. Not following a patient weekly to note objective changes and/or effects is doing them a great disservice. In order to allow patients to lead stable, productive lives, treating some patients with talk therapy alone is often sufficient. Other times, medication coupled with having an on-going therapeutic relationship with a qualified professional is optimal. Perhaps, having said that, you will better understand my reaction to Gardiner Harris’s March 5th article in the New York Times. The title, in fact, should give it away: TALK THERAPY DOESN’T PAY, SO PSYCHIATRY TURNS INSTEAD TO DRUG THERAPY. Harris focuses in particular on one psychiatrist’s confessions of only prescribing medication after a brief consult with a patient and no longer offering talk therapy. This is all in contrast to his training at one of Chicago’s prestigious medical schools where upon graduating he started a psychotherapy (talk therapy) practice in 1972. That was definitely the line that made my anger soar. We all have choices to make. Psychotherapists as well as patients. Yet, the article (with its many statistics) made me believe that we are, indeed, turning into a nation where even when people are being helped, the goal is to help them to be merely functional. Think of all the CEO’s who expect workers to perform at peak levels. Yet, it’s common practice to fire workers for not meeting company standards, because all they are doing is “functioning.” Functioning means showing up on time, staying the entire day, but remaining only on the surface of full productivity and never realizing their full potential. We all know of such stories. We also know that decisions made by health insurance companies and the government are ones that are made in large part due to ignorance and ill-advised priorities, all of which put our health at risk. On the one hand, psychiatrists are being convinced – such as the one cited in the Times – to change priorities. Clearly, listening to patients talk about their problems, developing a trusting relationship with them and helping them to process their options is no longer sustaining his practice financially. He, like many others, is choosing to simply medicate. Worse still, psychiatric hospitals that once offered patient’s months of talk therapy now discharge them within days, with prescriptions for medications in hand. This is shoddy medicine and speaks to the heart of the matter: quality of treatment versus ignorance and greed. I don’t wish to spend time judging doctors who choose not to take financial losses and opt only to prescribe. Each of us has to live with the life style of our choice. The professional decisions we make throughout our lives also have to resonate with what is important to us. Yet, the great majority of we therapists who continue to offer talk therapy are not psychiatrists. We cannot, therefore, medicate, and in continuing to see patients, many of us do so at a cost. For those of our patients who have no coverage, we allow them to pay whatever they can. For others, we offer a sliding scale and hope that those who pay in full will help cover our costs. When it doesn't, we end up compromising too much of our income, and our financial burden then becomes a real stress in our lives. As I see it, there’s something very wrong with this picture. Those in government who are making public policy as well those in the health care industry who dictate the number of allowable visits do so, more often than not, with no understanding of the dangers involved in ceasing treatment. As providers we believe that psychotherapy is a microcosm of all human relationships. The inability to navigate and understand relationship issues and the effects of early life trauma is - through a relationship of trust - explored and, when most successful, resolved during talk therapy treatment. Talking and processing life events is instrumental in helping people to heal and to develop new ways of behaving, developing better coping skills and gaining an awareness (if not total insight) of how their behavior effects others and how others effect them. Without that, no amount of pill taking will allow people to alter their expectations, understand how best to improve the quality of their life or their work. We will, instead, become a nation of robots whose wiring may be somewhat less taut, less liable to explode, but we will certainly not be better able to live richer, fuller, happier lives. What will it take, I wonder, for those in positions to change the system, to make the mental and physical health of our people once again a top priority?